Volume 3 of Yannis Ruel’s Saoco project documenting Puerto Rican bomba and plena focuses on percussionist and bandleader Rafael Cortijo. During the “mambo kings” era of the 1950s, Cortijo Y Su Combo was perhaps the most Africanized of all the popular Latin orchestras, emphasizing percussion and improvisation, and basing their songs on traditional rhythms of Puerto Rico. 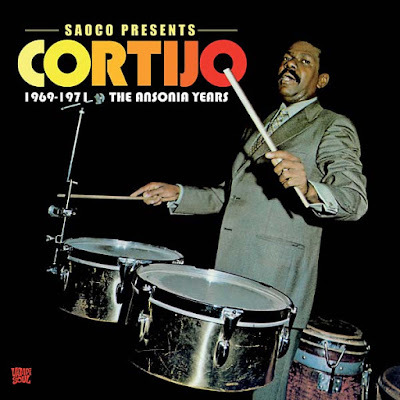 In 1969 Cortijo moved to New York and put together a band that stripped away the horn section, leaving just voices and percussion (plus piano and bass guitar, both played like giant tuned drums) playing vintage bombas and plenas. This collection includes seven tracks from that now-classic album, Ritmos Y Cantos Callejeros; my favorites are 6, 10 and 11. His next band brought the horns back to play a mix of Puerto Rican and Afro-Cuban elements; this is the sound that today we call salsa. Try tracks 7, 12 and 13 from those two discs. 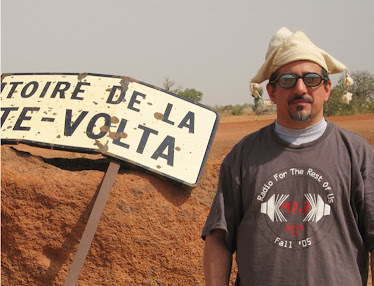 Cortijo is a crucial figure in the development of New York salsa of the 70’s and beyond, and for current bands like Bio Ritmo, where Puerto Rican folkloric elements are building blocks every bit as significant as the better-known Afro-Cuban ones.